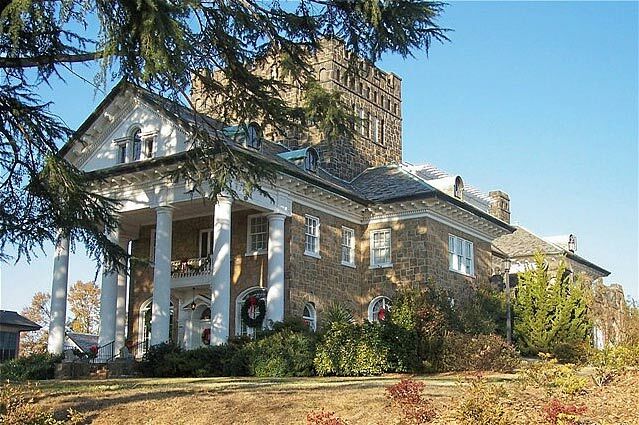 Gassaway Mansion in Greenville is said to be the largest house in the Upstate, measuring over 22,000 square feet. Completed in 1924, it was home to textile magnate Walter Gassaway and his wife, former Ottaray Hotel manager Minnie Quinn. Much of the masonry and stone work was salvaged from the old Vardry McBee Mill at the Falls of the Reedy River. From the late 1950s until the early 1970s, it was an apartment complex. It also served as the Greenville County Art Museum. Today, the home is privately owned and used as a wedding and reception facility. SCIWAY sends a big thank you to Joseph Baker for contributing this picture as well as the accompanying information.